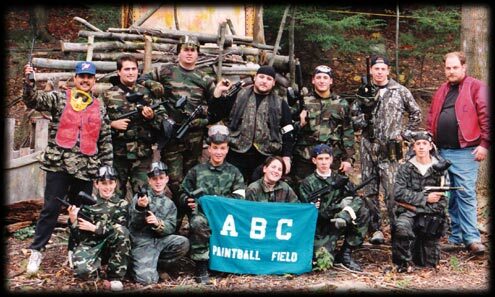 Why Should You Choose ABC Paintball Field For Your Next Outing? Bring Your Own Paint Policy - Other fields entice you with low entry prices but require you to buy their paint at inflated prices (often $80 to $100 per case). We allow players to bring their own paintballs at no addtional charge. Also, we sell high quality paintballs at the cheapest prices you are likely to find. High Quality Rental Equipment - We use only the finest markers and safety equipment for rentals. We offer Tippmann Pneumatics semi-auto and Smart Parts Ion electronic paintball markers as well as Proto goggles and headgear. All equipment is maintained to ensure perfect working condition. Challenging Fields - We cater to woodsball as well as tournament speedball players. Coming Spring 2009 we will have 2 brand new regulation X-Ball fields. Personal Safety - We are known as one of the strictest fields when it comes to personal safety. Our staff of trained referees oversee all action on our playing fields throughout the day. Location - Located in Northern New Jersey, our playing fields are only 45 minutes from New York City and are easily accessible from all Tri-State Regions. Experience - We've been providing fun and enjoyment since 1989. Copyright 1999 - 2009 Greenwood Lake Sports Center, Inc.